“Success! 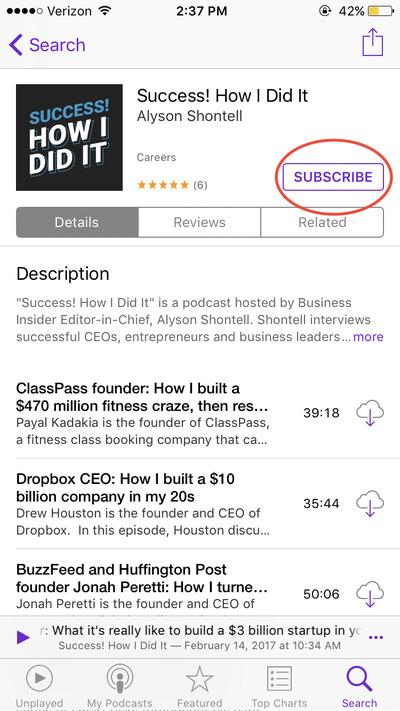 How I Did It” is Business Insider’s podcast hosted by U.S. Editor-in-Chief, Alyson Shontell. 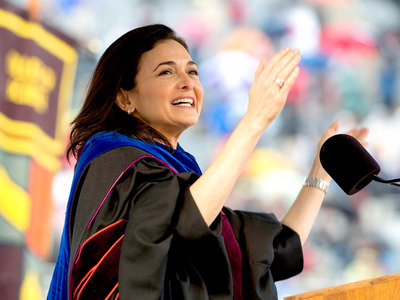 Shontell interviews successful CEOs, entrepreneurs and business leaders about how they built successful companies, and the career paths that took them to the top. Shontell has interviewed a range of people, from Sheryl Sandberg to LeBron James, the founder of Tinder to the founder of Buzzfeed, and many more. An archive of all of our episodes can be found on Acast and iTunes. We’re also on every major podcasting app if you do a quick search, including Overcast. Each interview is about 30 minutes or less, so they’re a great way to pack your commute with business advice and inspiration. We have more great interviews lined up so don’t forget to subscribe to the podcast. 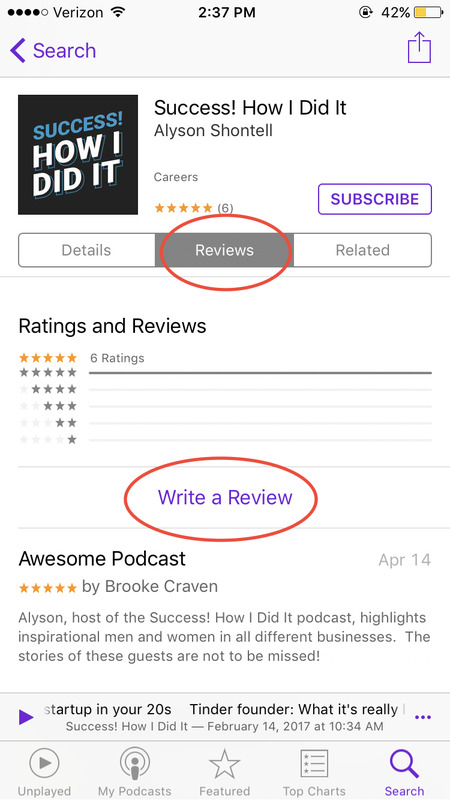 Once you subscribe, you’ll be notified when we add a new episode and you won’t have to worry about missing the next big interview. 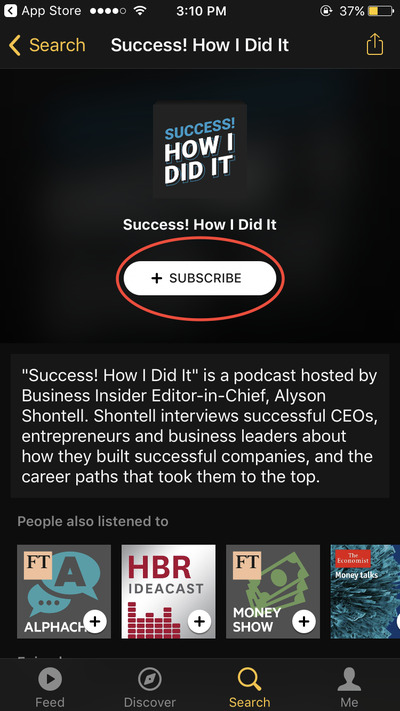 To subscribe, search for “Success! How I Did It” in iTunes’ Podcasts (left) or Acast’s (right) app, then click the “Subscribe” button. Once you’ve subscribed and listened to the show, let us know what you think. Go to the “Reviews” section of the Apple Podcasts’ page then click “Write a Review.” We care about your feedback, and positive ratings really help us continue to make the best podcast for you.